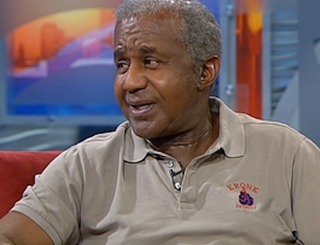 *(Via Yahoo Sports) – Hall of Fame trainer Emanuel Steward, a genius in the ring and a goodwill ambassador for boxing outside of it, died Thursday at 68 in a Chicago hospital following a lengthy illness. There had been multiple erroneous reports of his death early Thursday, but Steward’s sister, Diane Steward Jones, confirmed his passing to Detroit television station WXYZ at about 3:30 p.m. ET. No cause of death has been released. A 1996 International Boxing Hall of Fame inductee, Steward was best known as the trainer who developed Thomas Hearns into one of the most fearsome fighters of his generation. But Steward was also a master who was able to help fighters of all styles improve their games. Considered the greatest trainer of his era, he worked with dozens of world champions and was instrumental in the success of not only Hearns, but elite fighters like heavyweight champion Wladimir Klitschko, ex-heavyweight champion Lennox Lewis, Oscar De La Hoya and many others. Read/learn more at Yahoo Sports. Aaaaaaw MAYN!!!!! Damn!!!! Without this man?, MANY in boxing woukdn’t have been where they were, or where they are….now! Manny was the TRUTH!!! R.I.P. Mr. Steward, you have SURELY earned it, but…..you WILL be missed!!! Wait! !, which is it!? His name is spelled BOTH ways, in this article! So??? EUR!!???? SMDH!! Such a great guy. I remember when I grew up in the D, I would see him in the neighborhood driving his red Rolls Royce around. He did some good things for the community as well. RIP Manny!